A senior corporate leader, an avid reader of body language, a keen learner and above all, a person passionate about working with people; this is Samira Gupta - founder of Auraa Image Management & Consulting, based at Gurgaon, Delhi NCR. Samira is an alumnus of the prestigious Indian Institute of Management - Kozhikode with more than 22 years of experience in the corporate world. Samira set up Auraa out of a very strong desire to make a difference in people's lives and it is based on a rock solid foundation of corporate leadership experience, various trainings undertaken and natural people skills. What makes Auraa stand apart is, we deliver unique solutions. Also, having been a part of a highly competitive, multicultural work environment, Samira understands the dynamics of international business and necessity of projecting the appropriate professional image in order to succeed. The ability to nurture people to excel is one of her keys to success. 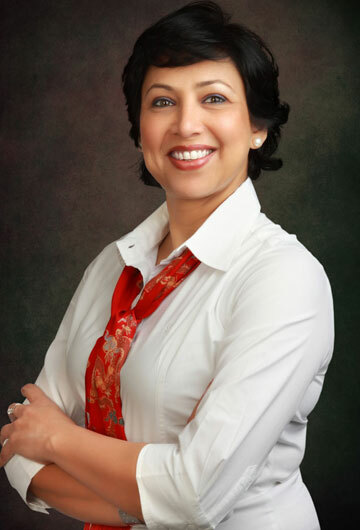 Samira combines her qualifications with years of corporate leadership experience to deliver tailored solutions for enhancement of self-presentation and behavioral skills.Samira's specialty lies in designing experiential programs that blend different forms of training and coaching in order togenerate maximum results. All programs are conducted after a detailed audit and are customized according to organizational needs. The course structure, quality of exercise and training environment of the session was very good. Today I learned about Postures, Table manners and dressing codes.